This week saw the first Golden Dining Experience at Dalestorth. 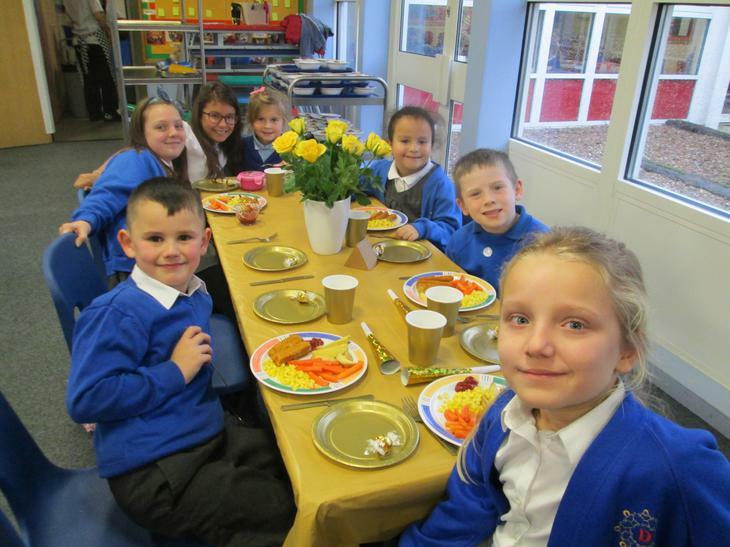 Seven children who have stayed hot meals, demonstrated superb table manners and friendliness towards other children were awarded a 'golden ticket' to dine at a specially set golden table with tablecloth, gold plates, cutlery and even golden chocolates. They were all given a gift at the end of the meal. The golden table will be set once every half term so we are now on the lookout for more children to award golden tickets to. This is part of our improvements at lunchtime, encouraging children to try hot dinners and eating and socialising with children of a range of ages and using good manners.